Chicago Real Estate, Chicago Real Estate Agents, Chicago, IL Real Estate Companies. 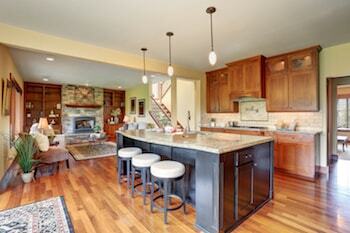 If you are presently one of our clients and you are contemplating selling, we would love to speak with you!! Although we would hate to end our property management relationship, we certainly hope to have done a job worthy enough to have earned the opportunity to sell your property. We totally understand the markets we work in and offer a robust marketing package at no additional cost to you, which you would be particularly challenged to find anyplace besides Skyline Real Estate & Property Management. 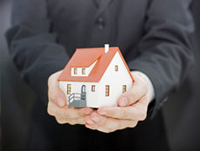 As I’m sure you may have anticipated, we work with an enormous number of real estate investors. We work with investors on large deals, small deals, and everything else in between. We immediately present our clients with an opportunity to buy your property, even with a resident in place. Our licensed agents are constantly working with various buyer clients, who are prepared to purchase at any time. We also have the capability to advertise directly to our list of existing residents in your property’s region, who are likely to purchase as well. Whether you are a first-time homebuyer, or you are acquiring additional property for your family, or as an investment property, we would love to work with you!! We have established professional connections with some of the finest and utmost professional lenders in the industry. We are confident we can accurately align your goals with the correct lender, and deliver several selections for you to communicate with, interview, and schedule meetings with. We are educated and have experience working in all different types of marketplaces and recognize how to correctly position your offer to be extremely contentious. For would-be first-time homeowners, schedule a time to speak with us about your opportunities. I have personally assisted countless first-time buyers successfully close on properties above and beyond their original expectations. We work with strategic lenders, who will work hard to get you the very best interest rates and loan terms. If you need support locating supplementary capital for a down payment, there are grants and other government assistance programs which lenders are entirely up to date with, which may be the distinction in you purchasing a property or continuing to lease. If you lease a property, you are fundamentally paying off the mortgage for your landlords to own a unit outright and building their equity for them!! If you pay $2,000 per month ($24,000 per year) in rent, over the course of 4 years (typical rental period) you will pay a total of $96,000 toward your landlord’s equity (in 4 years). If you own your own property, those funds are absorbed into your own equity, which you may be able to borrow against at a later period to further invest in real estate and pad your retirement account. ASK ME ABOUT INVESTING IN REAL ESTATE TO GAIN PASSIVE INCOME IN RETIREMENT! We believe the general public is currently invested into a 401K retirement account, with no other basis of retirement income or savings planned. Most people are going to be in big trouble when it comes time to retire. Most investors comprehend there is no true value in a 401K. The common person with a 401K account retires with $97,000 available, that’s it! Supposing that one retires at 65 years old and lives to 100, they will have saved enough to tolerate for a personal budget of $230.95 per month until they die. You will not successfully save your way to retirement, so you must to invest and produce a river of passive income to fund your retirement.